The modern joint-stock corporation has many sources in medieval Europe. First among these was corporate law itself. Although the era is commonly referred to as "feudalism," for the hierarchy of individually owned "fiefs" of land and control of serfs as fixtures of that land, large amounts of wealth in Europe were actually controlled by corporate entities. Chief among these were church lands, the corporate entities being dioceses, religious orders and the Roman Church itself. These entities controlled a substantial fraction of the land in Western Europe. Furthermore cities (with varying degrees of political independence), merchant guilds, craft guilds, and many charitable entities (such as hospitals) were legal "corporations," i.e. artificial and perpetual legal persons under law. Some basic issues in corporate law (for example, when are officers individually liable for acts of the corporation, and when the corporation is liable for acts of its agents) had already been solved in canon law and urban law long before the joint-stock corporation. Another source of the joint-stock corporation was the tradition of dividing ownership over tangible things into "shares." For example, it was common in Italian maritime states fund the construction and operation of ships by dividing them into a certain number of shares (24 and 64 were common divisions). Share owners were responsible for funding voyages (not including cargo, which was typically paid for by trading partnerships called commenda) as well as the initial construction capital, and divided up the profits (fees paid by the merchants less costs). This tradition faded away in Venice when that republic's government took over ship ownership, but thrived across the Italian penninsula in Genoa. Ship shares became embedded into maritime law all over Europe and even survived the British Empire (today in Canada when you register a boat the government still registers 64 shares in it for its owner). The only organization controlled by the shareholders, however, was the captain and crew of the ship. The Italian cities often sold off their tax receivables to wealthy merchants at a discount as a way to borrow funds. (Discounting was one of the many ways late medieval financiers avoided the rather lax and narrow usury restrictions). The debts were divided into equal shares called loca or partes. Legally, these shares were personal property (chattels) and could be freely traded. Rather than going to buy receivables from Genoa, subscriptions to the di Chio e di Focea's loca shares (still legally debt, but to be paid out in dividends as taxes and trading revenues were collected) went to fund 29 galleys to conquer Chios and Phocaea. The Genovese Republic, for a fee, granted the organization exclusive rights to collect taxes from the conquered territories as well as special trading privileges. The conquests, taxes, and trading were at least partially successful, and by the 16th century more than 600 persons owned loca of the maona. This function and some of this structure would later be emulated by the Dutch and English India Companies, but with a basic legal difference -- "shares" in these later joint-stock companies would constitute ownership (like ship shares) not debt as with the maona. The most famous Genovese maona was the Officium procuratorum San Giorgio, later the Banco di San Giorgio. Founded in 1407, this bank (and a later Genovese bank along the same lines, the Bank of Genoa) would be the inspiration for later central banks such as the Bank of Amsterdam and the Bank of England. Banco di San Giorgio came to administer most of the Genovese Republic's debts. Dividends were paid out of tax collections (less directly than with earlier maona, but still more directly than the later Bank of England). The maona business was becoming more monopolistic, as it had become in Venice and would become with later central banks. At the same time, however, the ship share system spread to northern Europe and branched out beyond ships. In Italy and Germany by the 16th century a wide variety of mines were divied up into ownership shares. 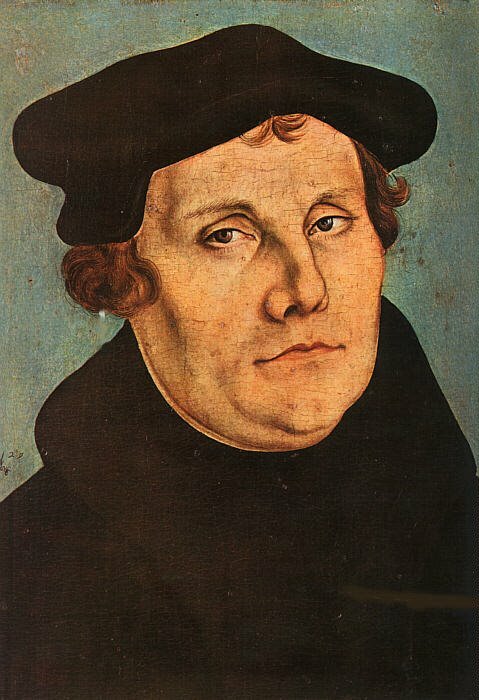 During the Reformation, a pious follower of Martin Luther gave him some kuxen, shares in a mine in Saxony. Luther complained that he did not know what to do with them. (Indeed, since as with ship shares the mine managers could call on investors to pay up more capital, ownership was not for the financially naive). Ship shares and mine shares like these were issued in small numbers (usually between 24 and 640) and thus were not typically traded on exchanges. The number of employees was also small, usually no more than a few dozen. Kuxen were reportedly sometimes traded at the Leipzig fairs. Indeed, illiquidity was the rule in the first century of English joint-stock companies. It was not until the Vereenigde Oostindische Compagnie (the Dutch East India Company, founded out of a merger of smaller colonial companies in 1602) that volume existed to trade company shares on exhanges (which up to that time traded state and municipal bonds and commodities). Interestingly, the first joint-stock companies chartered by the English Crown (starting in 1553) were companies involved in trading (the Muscovy and Levant companies), mining (the Royal Mines and the Mineral and Battery), and trading combined with conquest (the India Companies, the Virginia and Plymouth companies, etc.) The two mining companies borrowed not only shares but managers and engineers (presumably along with their techniques) from Germany. The Genovese for their part would have felt at home with the trading and conquest companies. Harold Berman, Law and Revolution. Guido Ferrarini, "Origins of Limited Liability Companies and Company Law Modernisation in Italy: A Historical Outline", Centro di Diritto e Finanza WP 5-2002. Meir Kohn, "The Capital Market Before 1600", working paper 99-06, February 1999.